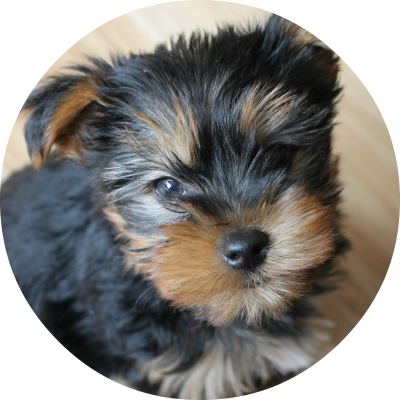 Today's post is all about Winnie's favourite colour, yellow! Well, I say Winnie's favourite colour... more like my favourite colour to put Winnie in. I thought I'd start up a new little series called Winnie's Wardrobe, where I can talk about all the super cute bits and bobs she's wearing at the moment. I don't know about anyone else, but I find it far harder to get cute accessories for Archie. Even in my own etsy shop, we sometimes find it difficult to gather fabrics that cater for all you handsome fellas. Yellow is definitely one of my favourite colours for Winnie. It totally pops against her black fur, and just looks so lovely on her! I thought I'd share some of my current favourite yellow pieces. 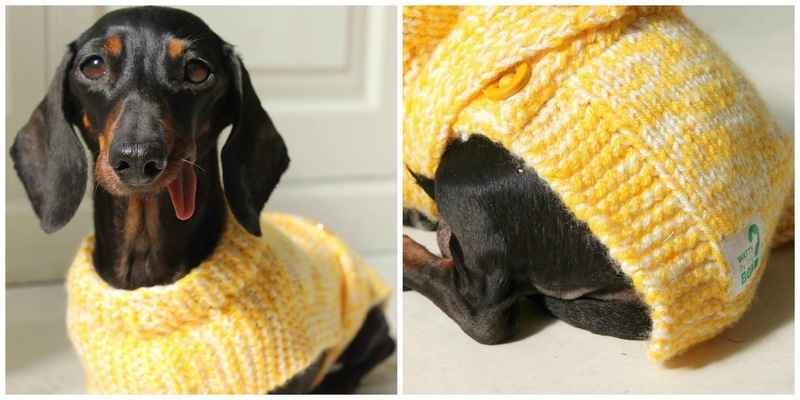 So I know the weather has warmed up, and that the dogs don't really need jumpers at this time of year... but as soon as I saw that Watts in the Box needed testers for their new dachshund knits, I jumped at the chance! This jumper is so beautifully made, with an adjustable tummy strap, and is perfect for those slightly chillier spring days. It's the loveliest sunshine yellow, and looks adorable on Miss Winnie. You can order your own hand-knitted jumper here, you may even spot Winnie modelling on the website! 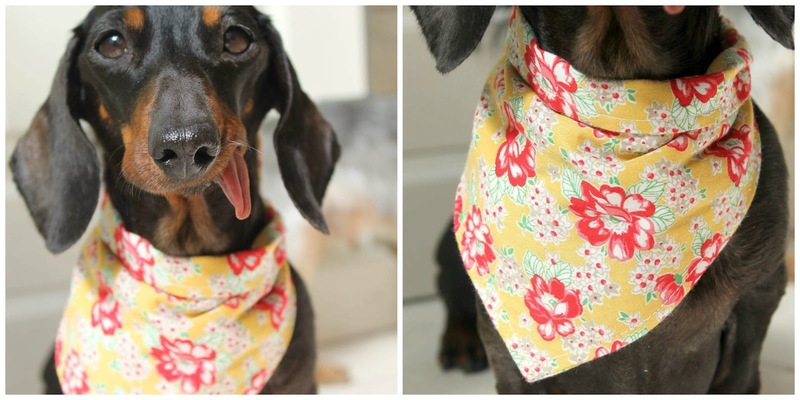 I'm sorry to shamelessly plug my own etsy shop, but my current favourite bandana for Winnie is this gorgeous yellow, floral one. It was actually part of our autumn line last year, however I feel like the floral design translates well into spring and summer also. This fabric is buttery smooth, comfy for Winnie to wear, and a fab bandana for mixing and matching with other accessories. If you're interested in nabbing one for yourself, you can find it here in our shop for just £3! This gorgeous yellow bow tie is the stuff of spring dreams! I won't ramble about this one as I recently wrote a post about my Bramble and Friends order, which you can find here. All you need to know is that the quality is fabulous, and that I will absolutely be ordering more! This is another one I won't ramble about, as I also wrote a blog post on this gorgeous set! Koko Collective make beautiful, ethical dog accessories in India, using recycled sari fabric and inner tubes. When they contacted us at the beginning of this year and asked if we'd like to review a couple of sets, I of course decided on this beautiful yellow for Winnie. It looks absolutely stunning on her, and is a perfect addition to Winnie's wardrobe year-round. So there you have it! Our favourite yellow pieces this spring. I hope you like the idea of this new series; do you have a favourite colour to dress your dog in?! I haven't seen much people in this field but glad to see and witness an amazing work from you. Love the designs and hopefully they will help me out in making one.